Here we post news about composting and recycling and other topics to lower our carbon footprint and make our garden more ecologically responsible. If you have something you would like posted, send it to us at rigardenclub@gmail.com. 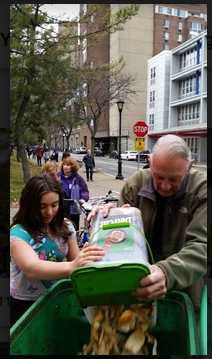 ​Curious about what happens to your recyclables after you’ve sorted them into bins? Take a video tour of the Sims Municipal Recycling Facility in Sunset Park, Brooklyn and find out. Submitted by gardener Karen Lee. ​Submitted by gardener Karen Lee. 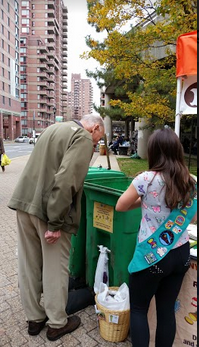 ​RIGC Community Compost Bins were fully renovated in 2015! ​Much of the wood was donated from Build It Green in Long Island City.Check out the related blog post. If it comes from the Earth, it is best if it is returned it to the Earth. RIGC has compost ready to sift and use. 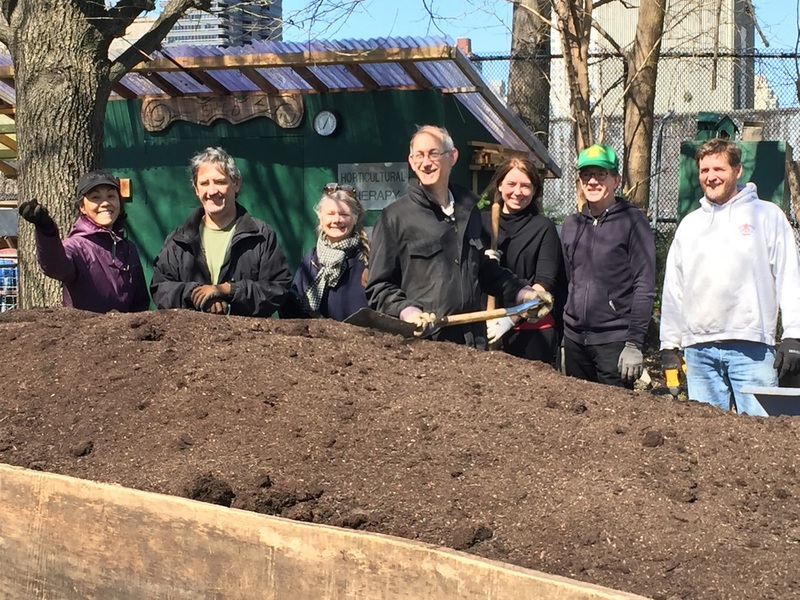 Click here to read more about composting with information from the NYC Compost Project. Remember to be Water Wise in the Garden. feel free to shut off any water you may find left running. 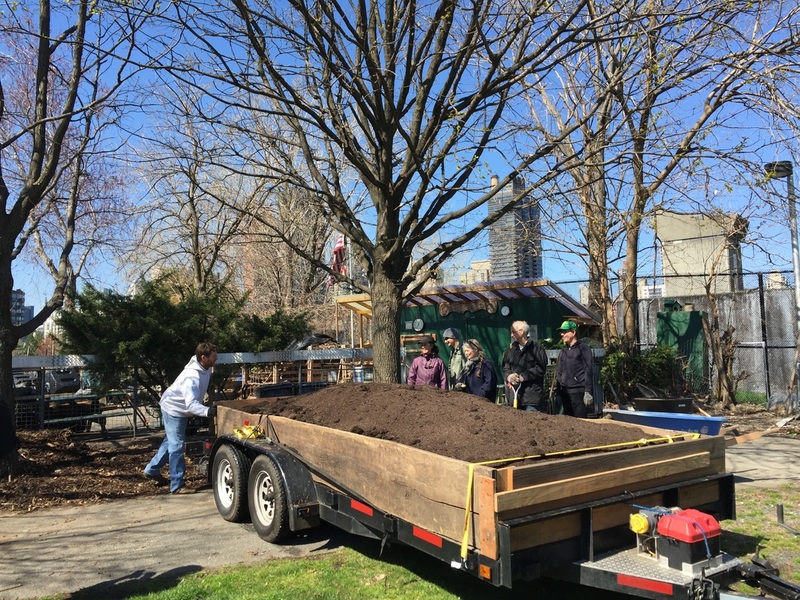 Dreams of a RI Mulchfest Site in 2018! It may be hot now, but it won't be long until we will be in full holiday season. 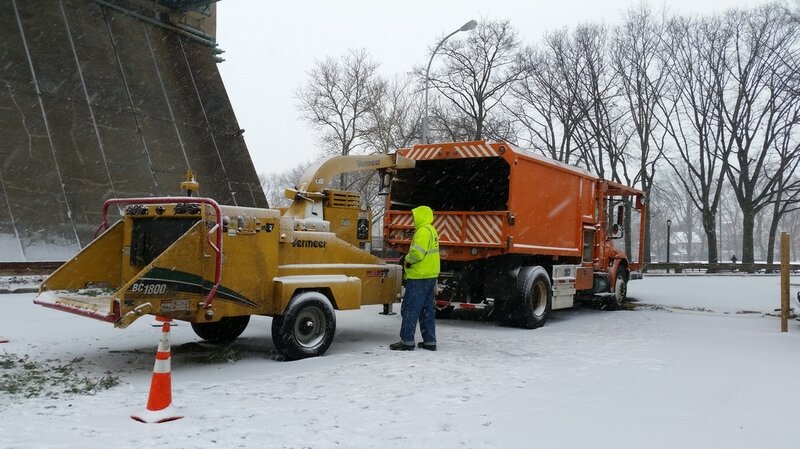 Let's join together and ask for a way to recycle used holiday trees and greens from Roosevelt Island into NYC parks. ​Wouldn't it be great to have MulchFest sponsored by NYCParks for 2018 on Roosevelt Island, too? Quick, easy, fun way to mulch holiday trees! 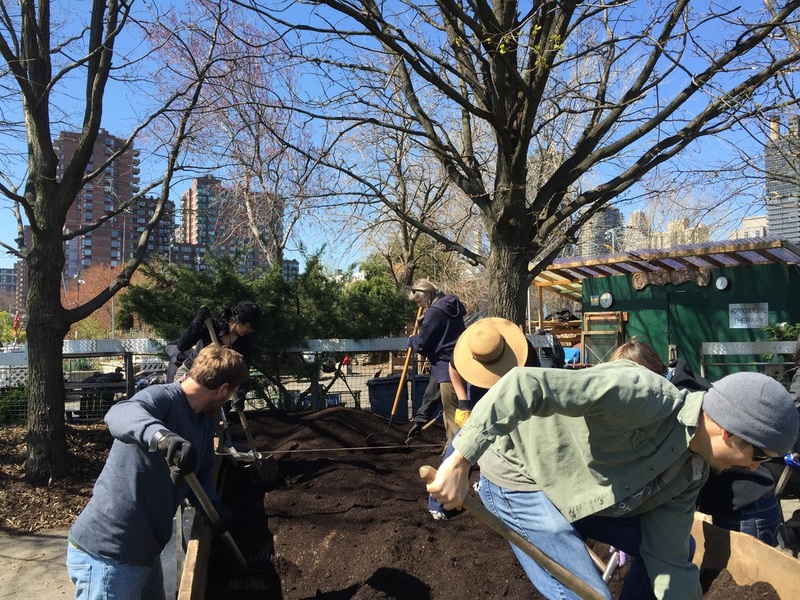 MulchFest 2017 in Astoria Park, Queens on January 7th. RIGC received beautiful hyper local compost from the NYC Compost Project hosted by BigReuse! When you go out to the garden to start spring clean up, remember to compost in your garden and in our community compost bins! What is from the earth, returns to the earth and stays at RIGC. The new recycling shelf is already built and ready for the little plastic pots you may buy seedlings in. (Thanks to Vaughn and Karen!) Please place pots neatly for recycling. 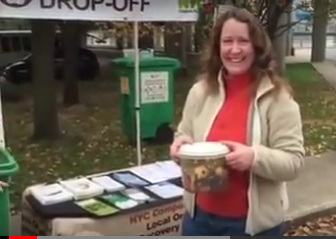 Reduce Landfill Waste Significantly Help Mitigate Climate Change Bring Food Scraps on Saturdays 9:00-2:30 p.m. Please check out this option as you clean out and prepare for seasonal shopping for new electronics. The Ecology Center's electronic waste reuse and recycling program offers free, responsible disposal of working and non-working electronics to New York City residents, small businesses and non-profit organizations. We offer e-waste collection events seasonally in neighborhoods throughout the city and also accept equipment five days a week at our Gowanus E-waste Warehouse. Reusable and refurbished items are available for sale at the Reuse Store, which is located in the Gowanus E-waste Warehouse. The rainbow that graced our first days rejuvenating the composting bins in 2014. ﻿Gather all green garden waste for nitrogen,and be sure to mix with the brown materials like leaves and dried plants for carbon. You will need both. Chop up your materials into smallish pieces. Turn your pile as often as you can. Each time you turn it will speed up the process. Keep﻿ your compost damp but not wet. As you add material to your pile make sure that each layer is moist as it is added. During the summer your pile will dry out and the composting process will slow down. Do not add any meats or pet droppings. Stick with fruit and vegetable scraps and garden organics only. A stinky pile means something is wrong. 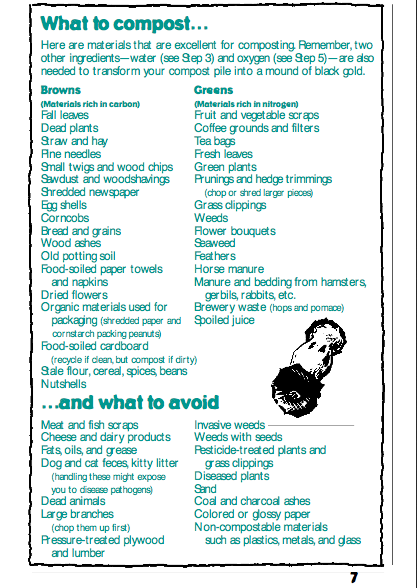 Bugs, worms and most bugs are ok. No need to try to keep bugs out of your compost. Since the compost process works best at temperature between 120 and 150 degrees, composting in the warmer months is easier to do. Add the compost to your garden a few weeks before you plant. Let the compost have a chance to work into the soil. Try to mix it in and let it sit before you plant. ​click here for more step by step composting explanations. Compost in Your Own Garden! For a simple and clear composting recipe: click here. For overflow, members can also place organic matter from the garden in the space marked New Materials. Rose canes and any item with fungus or bindweed should go in the special bin marked Rose Canes. ﻿Large Branches﻿ should be placed separately outside the fence. For more information, check out our Events and Resources page.